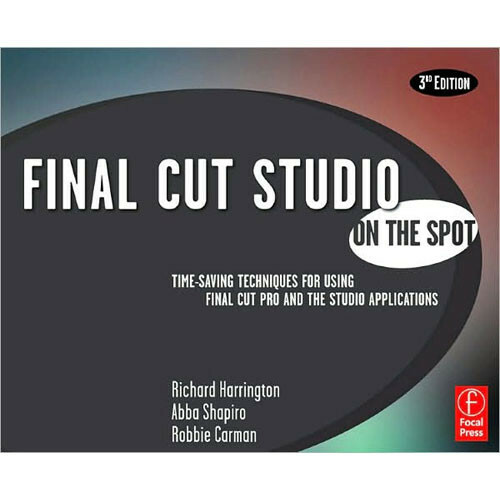 Final Cut Studio On the Spot by Richard Harrington, Abba Shapiro, and Robbie Carman from Focal Press is a training guide for Final Cut Studio. The book details 400 time-saving techniques that can be applied to your workflow. It features a concise presentation, making it ideal for reference or casual reading, complete with screenshots. Written by Apple-certified trainers, it is an excellent guide for Final Cut Studio users. Box Dimensions (LxWxH) 9.2 x 7.5 x 0.9"